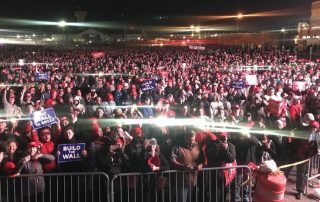 Liberals are lying about the Beto rally in El Paso, claiming it dwarfed President Trump’s rally. We have photographic proof they are lying! The following video shows tens of thousands of people outside the coliseum. There are 6,500 or more inside. Imagine the number of people who planned to attend and changed their minds when they saw the massive turnout. Team Trump should have rented the Sun Bowl which has a seating capacity of over 50,000. 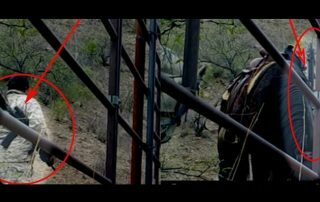 At various points in the video, heavily armed illegals on horseback cross the border via Chilton’s ranch. These are not poor, downtrodden Mexican nationals unable to find work at home. 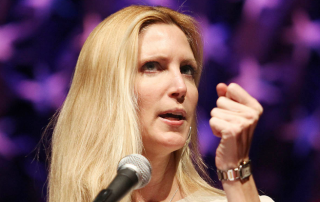 They are fully employed, an organized paramilitary outfit. Just before announcing that she would defy President Trump, Oregon gov. Kate Brown received a large donation from George Soros. Imagine that! 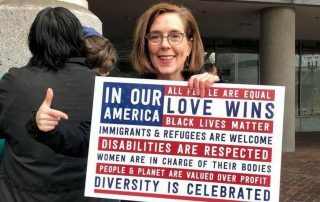 Just before announcing that she would refuse President Trump’s order to mobilize the National Guard, Oregon governor Kate Brown received a fat pile of money ($25,000) for liberal weenie sugar daddy George Soros. 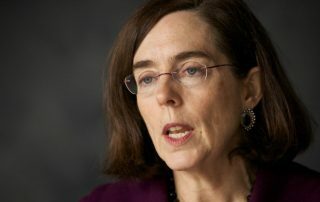 Oregon’s Governor Kate Brown has vowed to defy President Trump’s mobilizing of the National Guard for duty protecting the Mexican border from the scourge of illegal immigration, which invites crime, drugs, and welfare exploitation. Not messing around! President Trump is signing an order today to deploy the National Guard to the Mexican border. MAGA, baby! 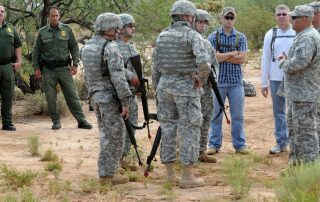 As promised, President Trump is deploying the military (National Guard) to our southern border to augment the Border Patrol with additional security in anticipation of a caravan of Central Americans moving through Mexico en route to the US border which they plan to cross illegally. 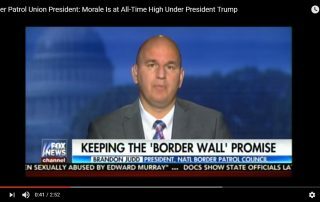 Morale among U.S. Border Patrol agents is at an all-time high, the president of the National Border Patrol Council said today on Fox News Insider.